Specialist Components have developed mappable engine management system for MGB 5 port engines. This system delivers all the power of a Weber DCOE carburettor but with the drivability and smoothness of full engine management. 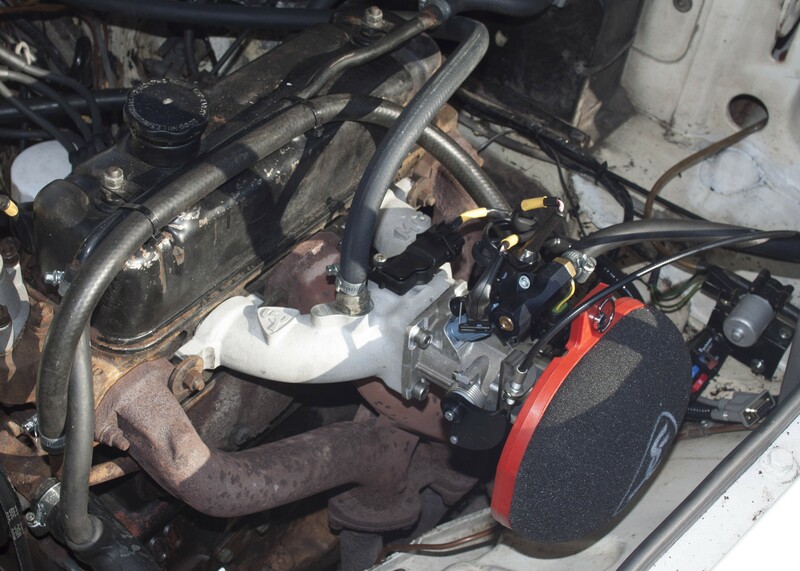 The system is simple to install and fits into either LHD or RHD MGBs with no body modifications. This is a cost effective upgrade and suitable for all engines. 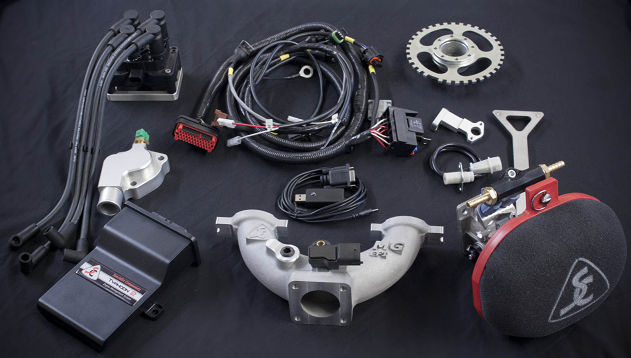 Choose between early or late car kits - early require the change to 12v battery and fitment of our fuel pump/swirl pot in the box and our billet thermostat housing. Later car kits come with a tray to be fitted in the space where battery box would usually be located. This kit is engine dynamometer proven to improve performance throughout the engines rev range, while giving better fuel economy and improved drivability - A must for any classic!